According to the 2017 report by Cardiological Society of India (CSI), with one in every three Indians suffering from hypertension and heart ailments, cardiovascular diseases are acquiring epidemic proportions in India. While medications help reduce blood pressure, one has to stick to a healthy diet to manage it well. One of the most common advices given to a hypertension patient is to slash foods like salt, fat and calories and increase the intake of vegetables, fruits and lean protein in their diet. Some health experts also suggest reducing high blood pressure by cutting off caffeinated drinks and alcohol, as excess of both is extremely hazardous for health. While there are foods that help manage hypertension, there are certain drinks that may reduce high blood pressure and other cardiovascular conditions. Here are a few important drinks suggested by Macrobiotic Nutritionist and Health Coach Shilpa Arora that will help manage your blood pressure well. The most popular vinegar in the natural health community is the Apple Cider Vinegar. There are a plethora of benefits that this nature’s elixir encompasses in it. Loaded with potassium, ACV pushes out excess sodium and toxins from body. 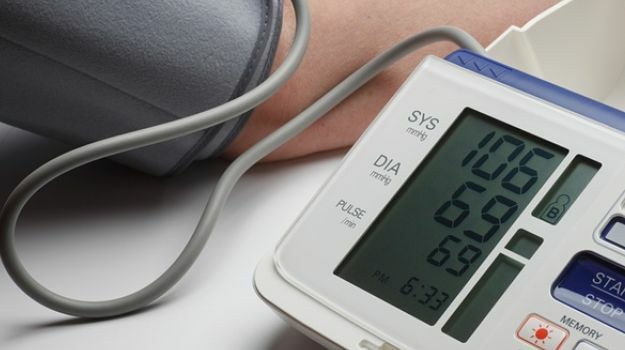 The presence of rennin enzyme causes the blood pressure to reduce. You could mix apple cider vinegar with some honey in a glass of water and drink it in the morning. According to health experts around the world, starting the day with a glass of lemon water can do wonders to your overall health and fitness. Lemon water tends to cleanse your cells. Moreover, it is known to make the blood vessels soft and flexible, further lowering blood pressure. Lemon water contains vitamin C, which acts as an antioxidant, removing free-radicals from the body. A glassful of lemon water every morning can help regulate blood pressure levels. Methi or fenugreek water is high in fibre, which helps in controlling your blood pressure. Drinking fenugreek water every morning on an empty stomach may help keep your blood pressure in check. Chia seeds are said to be high in omega-3 fatty acids, which have been shown to work as a blood thinner and may reduce blood pressure. Soak chia seeds in water for half an hour and drink the water. Repeat the process daily for a month for effective results. Both low- or non-fat milk supply potassium and calcium to the body. Both these nutrients are associated with maintaining healthy blood pressure. One should avoid full-fat dairy as it contains significant amount of palmitic acid that can block signals that relax blood vessels, thereby keeping blood pressure elevated. Here’s a recipe of a concoction by Nutritionist Shilpa in order to reduce high blood pressure. Blend all of the ingredients and drink it up. Make sure you consult your doctor before adding these drinks to your daily diet as taking medications and drinking these beverages simultaneously may significantly drop your blood pressure levels.